About Us – Morrison Inc.
At Morrison, we also maintain our own drilling and excavating equipment. Our experienced team can optimize geothermal HVAC for both horizontal and vertical closed loop systems. To accommodate tight yards, we use our specially-designed small drilling rig. 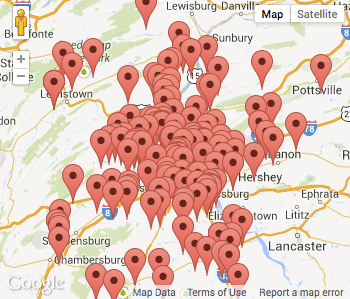 Our company has installed over 4500 systems throughout central Pennsylvania, in homes ranging from 800 to over 16,000 square feet. Our systems can deliver home heating and cooling, radiant floor heat, domestic hot water and snowmelt. Plus, we can heat swimming pools. Some of our more notable projects include installing geothermal systems at the Governor’s Residence and the guardhouses at the White House. Morrison did a great job with our installation. Everything went smoothly and quickly. The workers were friendly and very professional. We are on track to heat our house for under $500 this year vs. $1,800 with propane last year. I had many contractors give estimates but none matched Morrison’s combination of price and experience. I wish I had called them first! Highly recommend. I learned about Morrison Inc. from another customer of theirs who was pleased with their work and out of the 3 bids I received Morrison had the most knowledge about the system, a fair price and they were always available for my calls. They came out and explained everything to me and the company was a pleasure to work with. This being new construction we had many people doing different jobs at any given time. Morrison’s talked with us prior, during and after the installation and in no time the job was done. The heating and cooling is great. We are very pleased with the work that Morrison’s did and the comfort of the geothermal system. The men worked tirelessly (even in 100 degree heat) to install the geothermal heat pump. The quality of installation is second-to-none. The unit works flawlessly. It is so quiet and so much more efficient than what we had before. We are extremely satisfied and whole-heartedly recommend Morrison’s. Don’t give up the time! Get in touch Today!